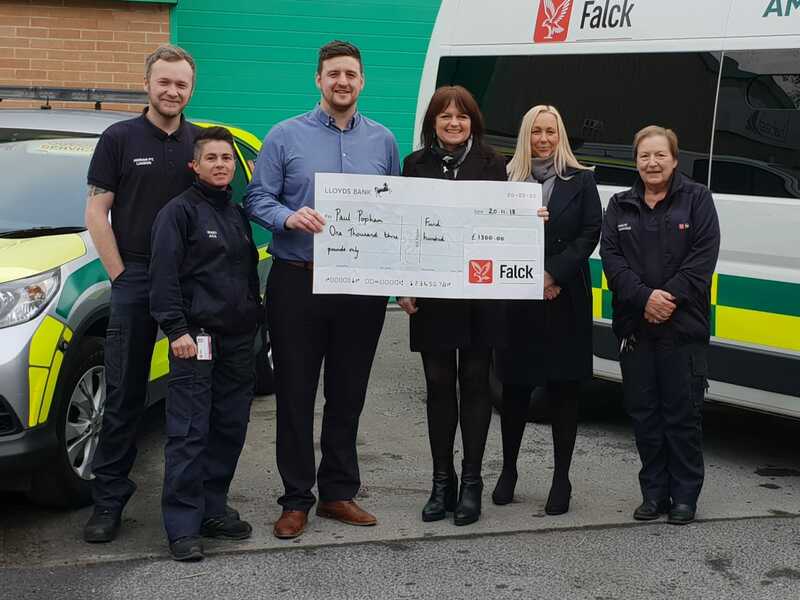 Last year, Falck UK chose the Paul Popham Fund / Renal support Wales as its annual charity partner and are delighted to announce that thanks to the generosity, hard work and commitment of our team in Swansea, Falck have successfully raised £1300. Led by Regional Contract Manager Gareth Cadmore, our Swansea employees have supported a number of exciting fund-raising activities including providing medical event cover to the charity’s associated running club at their 5k Series across May, June and July and the annual Wear Wally Race held in November. In addition, our Swansea team organised various events in aid of the Paul Popham Fund including a seaside summer BBQ, a curry night, quiz night and a festive Christmas raffle. Each event welcomed renal patients, family members, friends and trust staff from across the ABM the health board for Swansea and Bridgend. On commending his team and the work of the Paul popham Fund, Gareth Cadmore, Manager at the Falck base in Swansea said: “As an organisation we endeavour to give back to the communities in which we work and were impressed with the service the Paul Popham Fund provides to the kidney patients and staff at Morriston Hospital. To us this seemed like a perfect match to select the fund as our annual charity. I would also like to offer a special thank you to Mary Allan - Senior Ambulance Care Assistant - who has shown great leadership and drive to ensure all events were managed and executed to a high standard". The monies raised will help support the vital work that the Paul Popham Fund do and in particular will provide funding towards Swansea's Renal Conference set to take place this spring. The event will include a number of seminars to inform patients about Dialysis and provide information regarding Patient Transport delivered by Falck representatives. To find out further information about the Paul Popham Fund and their fundraising work with Falck please click on the link provided.